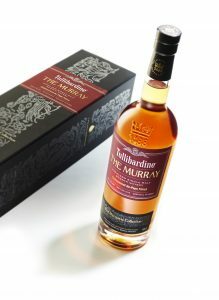 Tullibardine distillery has announced the global release of the latest expression to join its range of Highland single malt whiskies, The Murray Châteauneuf -du-Pape. 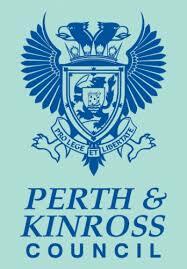 The expression was distilled in 2005 and bottled this year at 46 per cent volume. Following initial maturation in first-fill American oak barrels, the ruby malt has been re-casked in classic wine barriques sourced from France’s southern Rhône vineyards. The new whisky adds to Tullibardine’s award-winning Marquess Collection, which is named after Highland Jacobite Sir William Murray, the 2nd Marquess of Tullibardine and is tribute to the brand’s heritage. Existing whiskies in the collection include the industry renowned The Murray 2004 and The Murray 2005 which was released last year. The Murray Châteauneuf -du-Pape is russet in colour with an assortment of spicy and sweet aromas on the nose, bursting with flavours of juicy cherries and mint chocolate on the finish. The delicate red wine influence builds upon The Murray’s flavour and aroma, boasting red fruits, warm spices and a herbaceous aroma. Keith Geddes, Master Blender at Tullibardine distillery commented: “The Châteauneuf -du-Pape finish is an exciting development at the distillery and has matured into a beautifully rounded single malt whisky featuring an exciting spectrum of rich flavour and aroma. Experimenting with new casks is a priority for the development of our range and we’re delighted with how this malt has developed over time. The Murray Châteauneuf -du-Pape retails at RRP £49.00.